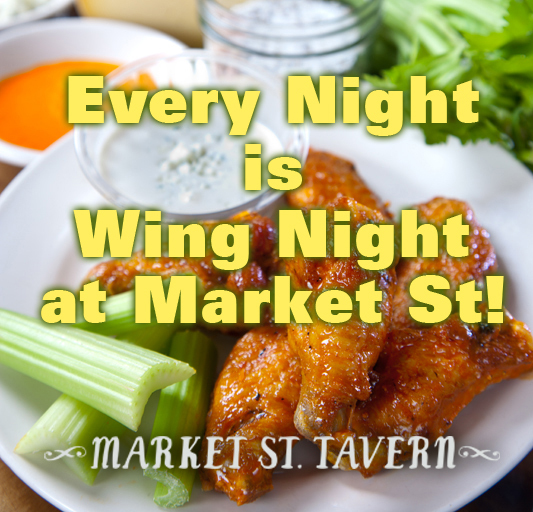 Every Night is WING NIGHT at MST! Starting tonight, Market Street Tavern will be showcasing our amazing Buffalo Wings and Bourbon BBQ Wings with our new “POUND & PINT” Happy Hour! That’s right. 🙂 EVERY NIGHT is WING NIGHT! So, bring your friends out for a fun night at the NEW Market St Tavern downtown — right where you need to be. 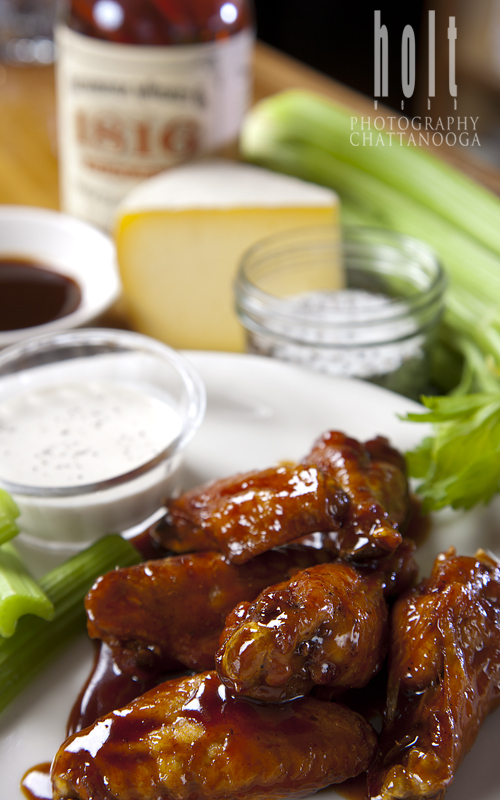 Starting next week, Market Street Tavern will be showcasing our amazing Wings with our new “POUND & PINT” Happy Hour! That’s right. EVERY NIGHT is WING NIGHT! Do you miss Wing Night? Well, hold on to your hats, we’re about to announce a new wing special. And it starts next week! Tune in tomorrow for the BIG NEWS! It’s what Wednesdays are all about! Wine & Jazz was a success! Thank you to everyone who came out to our first Wine & Jazz night in our new location at 809 Market Street! It was a big success! Despite the acoustics of the new Tavern (which we are working to improve), Ben and Dave sounded great! They knew the right adjustments to make so that they sounded as good in our new digs as they did in our old… maybe even better! 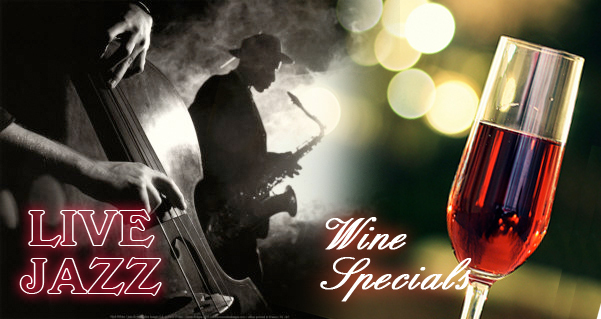 So, come on down to Market Street Tavern on Wednesday nights for wine specials and live jazz! It’s a great way to start the downhill run toward the weekend! Market Street Tavern, Downtown — Right where you need to be. Wine & Jazz Wednesdays are BACK! Yes! Wine and Jazz Wednesdays at Market Street Tavern are back! 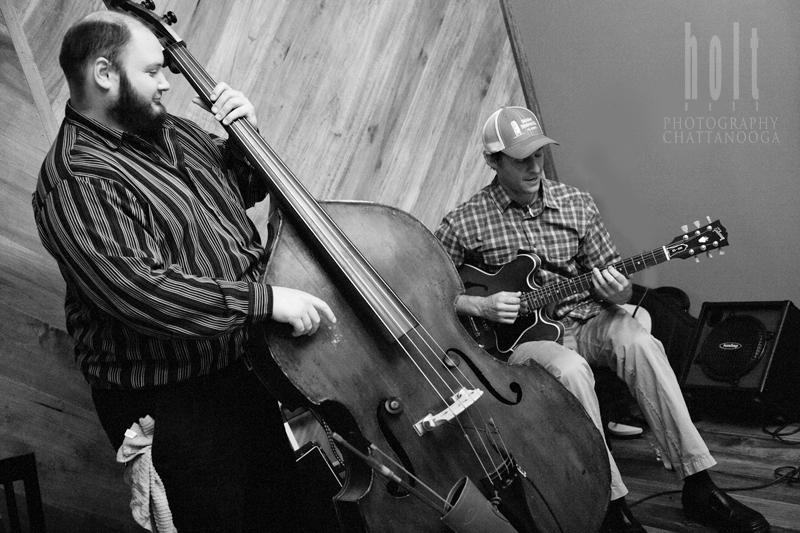 We’ll have wine specials from 4pm to close and live Jazz from Ben Friberg from 7:30 to 9:30. Come on down to the new Market Street Tavern at 809 Market Street (right across the street from our old location) for some great food, some tasty wine deals and some mellow jazz. What a great way to spend a Wednesday! Get Tavern Updates on Twitter! Enter your email address to receive notifications from MST of new posts by email. Wine & Jazz Night tonight! It’s Pimp Your Mac Tuesday!